Making the decision to have replacement windows in your property is a big deal to many of us. Not only the look of the new windows but you want them to make you feel safe and secure in your home. 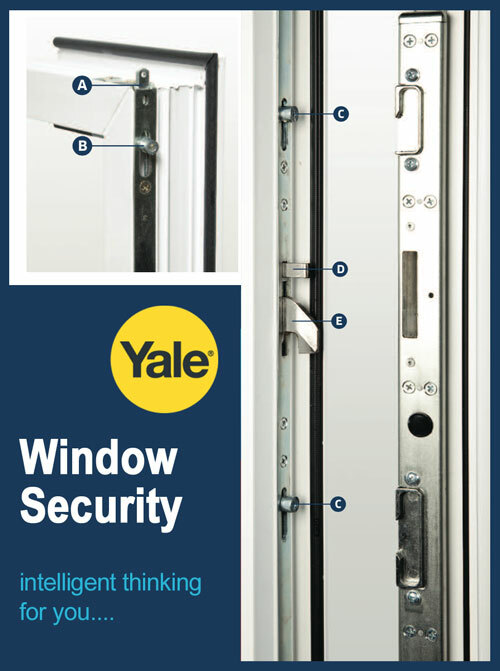 Our range of replacement windows are designed to that take all this onboard. We offer energy efficient designs that are made to last and are low in maintenance. Using modern uPVC windows there is no painting involved, almost no maintenance is required at all. They are much stronger than wooden windows and the latest uPVC windows have aesthetic designs available that can match the appealing look of traditional wooden framed windows. Having double or triple glazed windows reduce your winter bills, they also help to reduce outside noise pollution and are very secure as our windows also use a multi-chamber locking system. Whether you have a period or contemporary property we can find a suitable style to compliment your home. 4. Bevelled or featured sash frame & beads. Peace of mind with ease of operation. Range of colours and styles. The windows use warm edge spacers the advanced composite construction is up to up to x22 more efficient at preventing heat transfer around window edge. It also has a 60-75% lower vapour transmission rate increasing a windows service life. 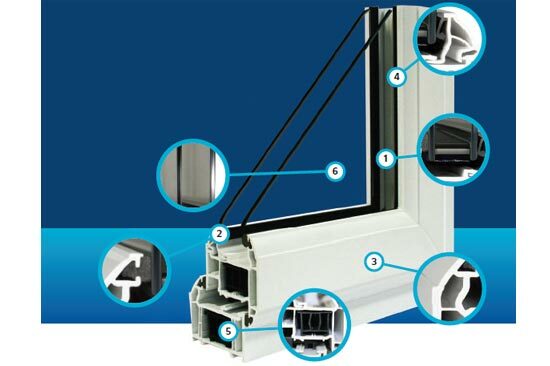 The windows feature the innovative Q-Lon weather seals. Offering exceptional performance over a wide temperature range. The windows use multi-chamber construction with insulated beading. The multi-chamber construction is designed to improve strength, thermal and acoustic performance. The windows have bevelled or featured sash and frame and beads. The double clipped hollow glazing bead is designed to aid thermal performance. The windows use thermal reinforcement.The unique multi-chambered design creates a barrier against airflow travelling through the window which minimises the heat which can be lost through your window frames. We use Pilkington glass. Pilkington’s range offers proven products and technologies to meet a range of window energy rating and building regulation requirements. 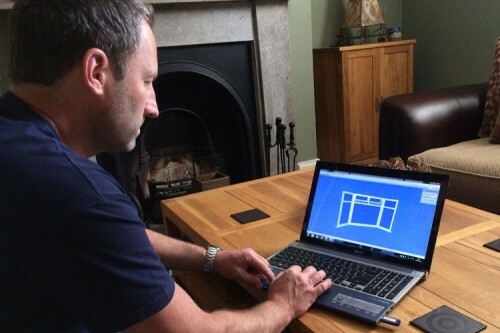 Using computer generated design we can offer you the chance to view your choices on a laptop in your own home, this new feature has revolutionised the way in which customers can make the right choices for their replacement windows, giving them the chance to visualise how the windows are going to look at the start of the process well before any work has commenced. Cheshire Conservatories in Crewe supply and fit windows around the local area including areas such as Nantwich, Winsford, Tarpoley, Sandbach in Cheshire. We also repair windows around these areas too. The Cheshire conservatories windows feature multi point locks that have a night vent facility. This is the spec that is endorsed by the Police. All the window installations by Cheshire Conservatoires and Windows Ltd pass strict regulations covered by FENSA. After we have installed your uPVC windows we will issue you with a certificate which you will need if you decide to sell your house. If you are in the market for new windows or replacement windows in the Crewe & Nantwich area or nearby areas of Cheshire, or if you need a windows repair service then please get in touch with us for a friendly chat.